My parents love watching Huell Howser on KCET. They still have reruns of his shows and this is how I found out about the Lake Shrine in Pacific Palasades. After going to Getty Villa 2 times, I never knew this existed as I always take the Sunset exit when leaving the Villa. In addition, I pass Sunset all the time if I decide to take PCH from Santa Monica to the 405 just to get back to the Valley. Located at 17190 Sunset Blvd. 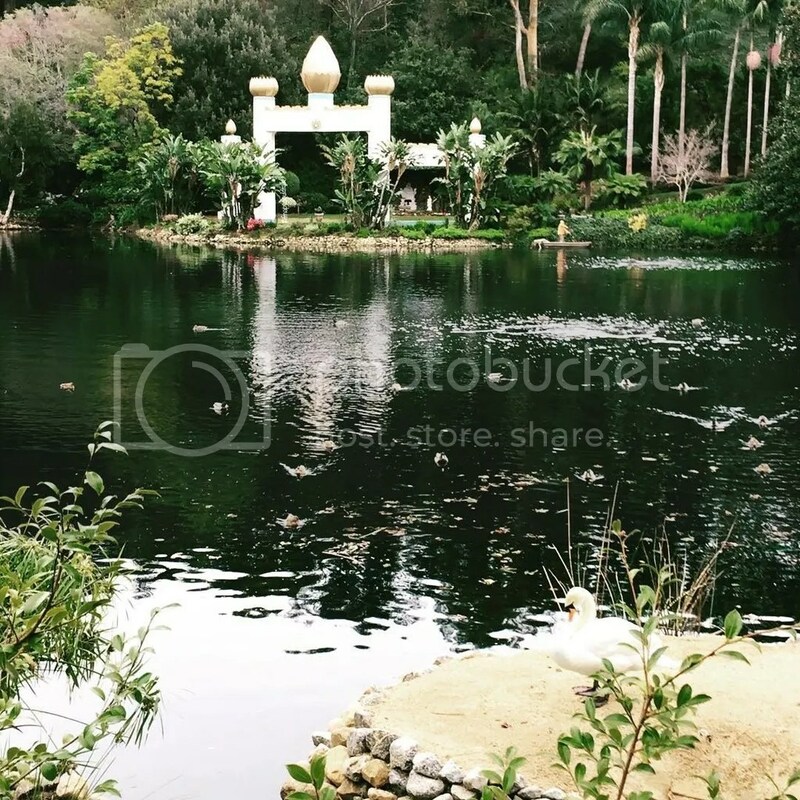 Pacific Palasades, CA 90272, the Self-Realization Fellowship Lake Shrine has lush gardens and a large, natural spring-fed lake which is framed by natural hillsides. Many visitors come each year to enjoy the scenic beauty and serenity of this spiritual sanctuary. Being that I’m a big city girl at heart, I’m always on the go. I went because I just had the time to go. I thought I’d be in and out quick just to take pictures and check it out. However, this place is the quietest place you’ll ever be in. I took a few moments to take it all in by finding a bench in the farthest corner of the lake. It’s nice to just sit back and relax and have no care in the world. Although, it was kind of short lived since the day I went it started to rain. I’ll be back for sure! I’ve also been to the shrine in Encinitas when I was in college. It’s actually on the way to San Diego. I don’t know if I can compare the two but that one has a view of the Ocean. But thinking about it now, I think I worry more now than in the past. I mean the troubles I had in college is totally different than the troubles I have now. Going to places like this or even taking time to yourself to reflect or even take a breather is a perfect way to get over your troubles and help you decide how to conquer them. I don’t think you need places like this but it’s always a good way to get away! The Lake Shrine Meditation Gardens are closed on Mondays and holidays, and may be closed during heavy rain conditions. Parking is available at upper Temple level every day except Monday and Saturday, Gardens are open on Tuesday to Saturday from 9 am to 4:30 pm and Sunday from 12 noon to 4:30 pm. 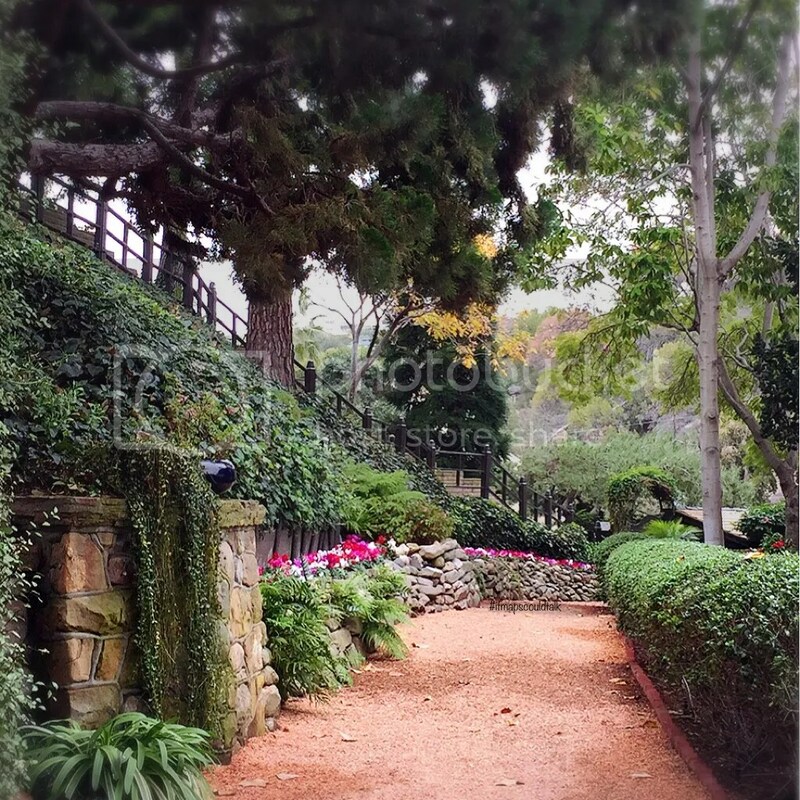 This entry was posted in See and Do, West LA and tagged Los Angeles, Malibu, Self-Realization Fellowship Lake Shrine. Bookmark the permalink.